A stackable chair you'll love to sit in? You betcha. 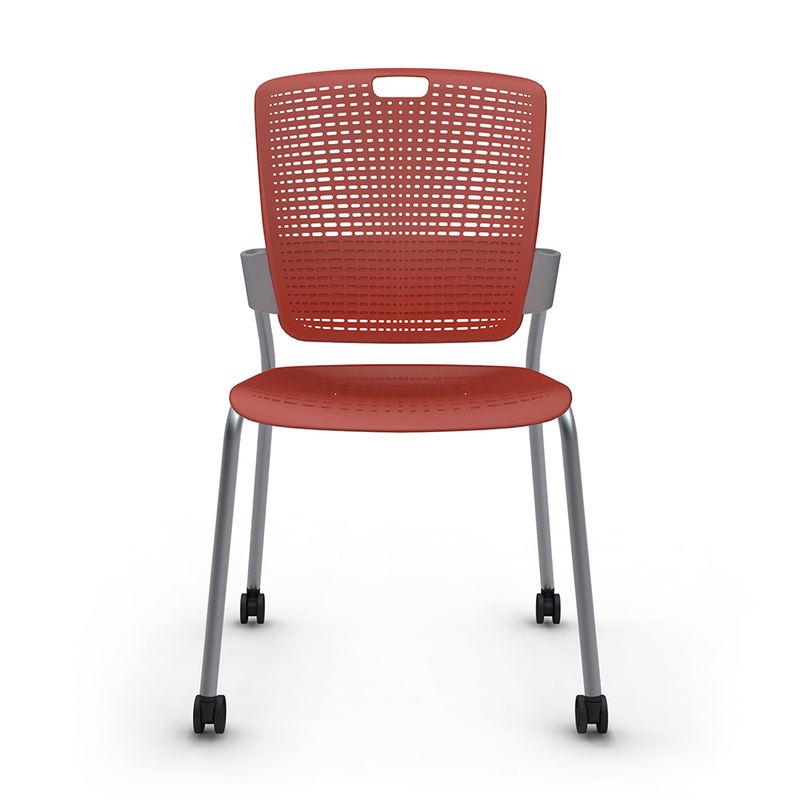 Built to support the body, the Cinto Chair is like a magic trick that makes meetings more comfortable. The flexible belt provides lumbar support, allowing the chair to move with you. So go ahead: sit back, sink in, and when you're done, just stack it up. Clean with warm, soapy water on a soft cloth. The built-in handle makes it easy to move and stack for impromptu seating Weighs a featherweight 12 lbs.